^ Goldstein B (Feb 2015). "The Thrill of Defeat". Nautilus. ^ Crick, Francis. ""Why I Am a Humanist." (1966) Varsity, the University of Cambridge newspaper". The Wellcome Library. Retrieved 2014-03-15. ^ Crick, Francis. "Letter to the Editor, Varsity, the University of Cambridge newspaper. (1966)". The Wellcome Library. Retrieved 2014-03-15. ^ Mestel, Rosie. 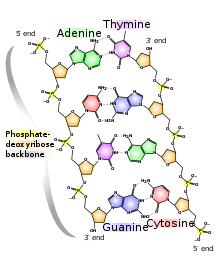 "Co-discoverer of DNA's double helix dies". chicagotribune.com. Retrieved 2018-09-20. ^ "University of California History Digital Archives". www.lib.berkeley.edu. Retrieved 2018-09-20. 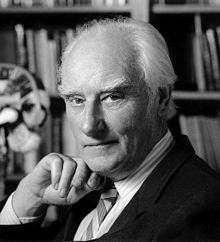 ^ "Francis Crick Medal and Lecture: This prize lecture is given on a subject in the field of biology". London: Royal Society. Archived from the original on 2015-02-11. This page was last edited on 23 March 2019, at 06:44 (UTC).